Blog » CNA Training » What’s the Difference between a Medical Assistant and a Nursing Assistant? In case you didn’t know, this week (June 9th-16th) is National Nursing Assistant Week 2016. What better time to explain the difference between two very popular careers in the healthcare field: a medical assistant and a nursing assistant? Although the job titles are similar, there are a number of differences in these two occupations in terms of where they work, the duties they perform, and the requirements in order to enter the field under these titles. Below we’re going to clear up some of the misconceptions and explain what sets these careers apart. It’s an all-out brawl: Medical Assistant versus Nursing Assistant. Medical Assistants tend to work for and directly with physicians in outpatient and ambulatory care facilities, such as physician’s offices and health clinics, as well as hospitals and offices of other types of health practitioners. Once certified, Nursing Assistants can work in a variety of medical facilities. They may work in state, local and private hospitals, although they most commonly work in nursing and long-term care facilities. They may also be found working in residential or long term care facilities, home healthcare agencies, and skilled nursing facilities. There is some overlap in the locations and options where Medical Assistants or Nursing Assistants may work; both work in various medical facilities. However Medical Assistants work primarily in clinics, private practices and urgent care centers, while Nursing Assistants typically work in hospitals, nursing homes, and home health care agencies. What are Duties of a Medical Assistant? Preparing patients for examinations and taking medical histories. Explaining treatment and procedures to patients. Answering telephones and scheduling appointments. Arranging for hospital admissions and laboratory services. What are Duties of a Nursing Assistant? There are some similarities in terms of the tasks a Medical Assistant and a Nursing Assistant perform (for example, both take vital signs) however, a Nursing Assistant is much more hands-on in terms of providing direct patient care and is heavily involved in assisting their patients with daily activities, whereas a Medical Assistant does not have these same responsibilities typically. While there are no formal educational requirements to become a medical assistant, Medical Assistants usually attend a post-secondary institution to receive training. Many of these programs lead to a certificate or a diploma and typically take one year to complete. It is not required that Medical Assistants be certified/licensed in order to obtain employment, however, requirements may vary by state and some employers may set this requirement for candidates they wish to hire. Nursing Assistants (or Nurse Aides) must complete a state-approved training program where they will have the opportunity to learn the basics involved with providing patient care. Many of these programs can be completed in less than one year and are designed to prepare students to challenge a state certification exam. Those who successfully pass, will be placed on their state’s Nurse Aide Registry (a requirement for employment in the field). As far as becoming either a medical assistant or a nursing assistant, for both careers some type of job training is necessary, but there are no formal education or certification requirements to begin a career as a Medical Assistant. Training Direct is a career training school committed to providing quality, short-term hands-on training and education to those who wish to pursue a career in the Medical field. 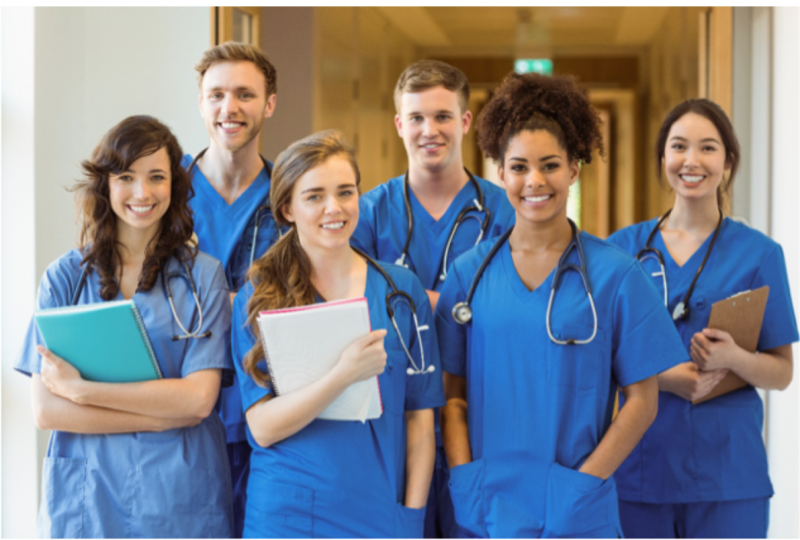 Our Nurse Aide program is a training program that aims to assist students in their development of skills and knowledge necessary to excel in the field of Nurse’s Aide. Bureau of Labor Statistics, U.S. Department of Labor, Occupational Outlook Handbook, 2016-17 Edition, Medical Assistants, on the Internet at http://www.bls.gov/ooh/healthcare/medical-assistants.htm (visited May 19, 2016).